project funded by the Australia ASEAN Council and the Australian Department of Foreign Affairs and Trade, focusing on building regional (ASEAN) capacity in disaster resilience education. 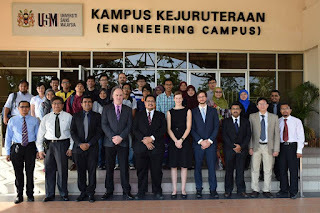 The project consortium gathered in Penang, including the team leaders from the University of Newcastle (Australia), the University of the Philippines, the Asian Institute of Technology (Thailand), the University of Civil Engineering (Vietnam) and the launch host, Universiti Sains Malaysia. Following a kind welcome from Prof. Dr. Ahmad Farhan Mohd Sadullah, Assistant Vice Chancellor, USM and Dean of the Engineering Campus, Dr Jason von Meding (Australia), Dr Indrajit Pal (Thailand), Professor Pham Cuong (Vietnam), Professor Mario Delos Reyes (Philippines) and Dr Taksiah Majid (Malaysia) introduced the respective partner institutions and their research/education capacity..The rest of the morning was spent dissecting the project proposal and agreeing on roles and responsibilities, considering potential outputs and planning the range of activities to be conducted over the course of the 2 year project. In the afternoon, staff and students from USM gathered for a seminar featuring presentations from the team leaders of each participating institution (von Meding, Cuong, Pal, Ahmed and Delos Reyes). This session showcased research projects from around the region and put the spotlight on disaster risk reduction/ resilience higher education programs and research groups currently operating. Following the seminar session we proceeded to the official project launch. We were again joined by the Assistant Vice Chancellor Prof. Dr. Ahmad Farhan Mohd Sadullah along with special guests, Tuan Haji Baderul Amin Bin Abdul Hamid, representing the Municipality Council of Seberang Perai, Penang, and Second Secretary Ms Katelyn Hornby, representing the Australian High Commission, Malaysia. Dr von Meding began with an introduction to the project, outlining the shared vision of the project team to address root causes of disaster risk through education and concluding with a short promotional video prepared for the event. Prof. Dr. Ahmad Farhan Mohd Sadullah extended a warm welcome on behalf of USM and discussed the excitement of his Faculty to extend its DRR capacity in the regional and international sense, building on its existing local and national profile. Ms Hornby concluded by outlining the importance of the relationship between Australia and Malaysia and Australia's commitment to building regional resilience as demonstrated through various projects and initiatives, including the one being launched and funded by the Australia ASEAN Council. The launch event concluded with a team dinner, hosted by Prof. Dr. Ahmad Farhan Mohd Sadullah. 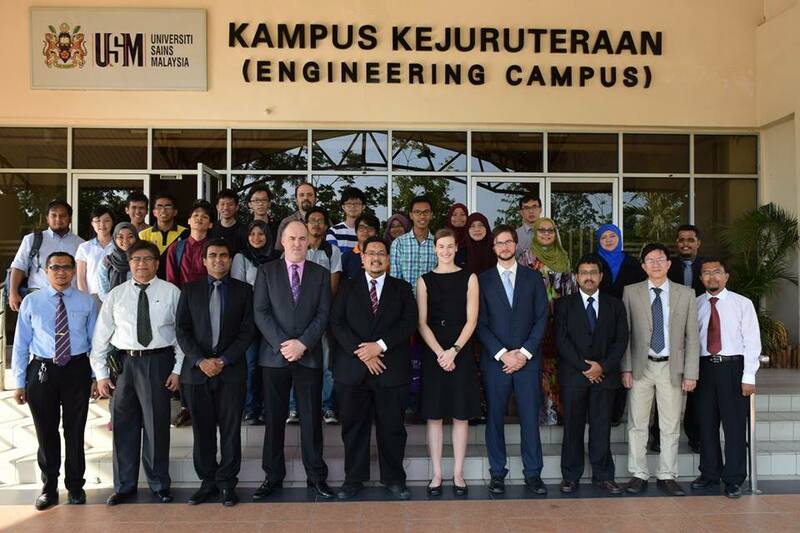 We would like to thank the Professor and Dr Sharifah Akman in particular, and the Universiti Sains Malaysia, for their efforts in hosting this event and kicking off the project in great style. I invented a project for earthquake prediction, predicts hole country from earthquake even if high magnitude occurs it works to secure country from earthquake, do researchers are intend to read project report.